Introduced in 1997, the Subaru Forester has made a name for itself as one of the first compact crossover SUVs put out for sale. It is also one of the top choices in today's market-thanks to loads of interior space, standard all-wheel drive (unlike other vehicles of its ilk), and an exterior that draws from the SUV and station wagon body styles. 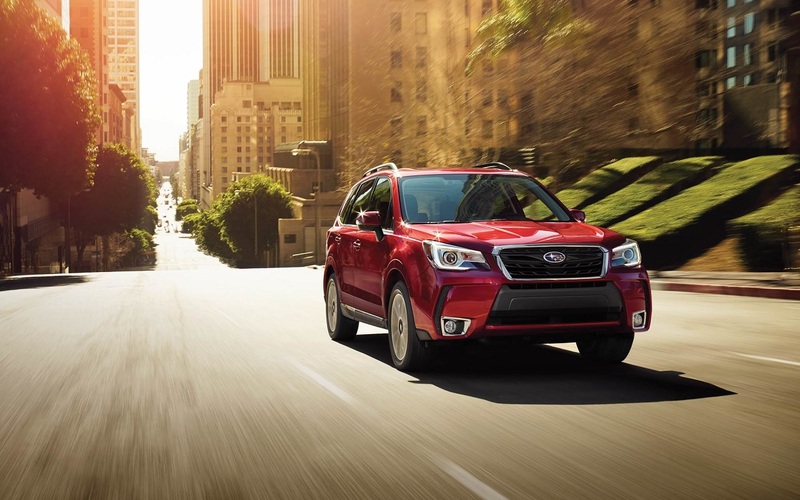 The 2018 model year finds the Forester close to the end of its fourth production cycle, with four trims available for sale: a base-level model, the Premium, the Limited, and the Touring. For exterior features, the vehicle starts off with multi-reflector halogen headlights and 17-inch alloy wheels. The Premium has the following additions: a rear spoiler, roof rails, and a panoramic power moonroof. The Limited and Touring are further enhanced by automatic on/off headlight ability, fog lights, and 18-inch alloy wheels (in place of the 17-inch ones). Unique to the Touring are turn-signal indicators on the side mirrors and LED steering responsive headlights. The 2018 Subaru Forester-which has two rows of seats for accommodating up to five people-provides 108.3 cubic feet of passenger volume. Cargo volume is measured at 34.4 cubic feet on the base-level model and 31.5 cubic feet on the other trims. And you can increase it up to 74.7 cubic feet if you fold down the rear seats, regardless of vehicle version. If you go with at least the Premium, the front seats will be upgraded with 6-way power adjustability and power lumbar support on the driver's side. Going with the Limited adds leather upholstery and front-seat heating capability. The top-level Touring trim is the only one with a heated steering wheel and a two-position memory system on the driver's side. For comfort and convenience, the vehicle starts off with features such as keyless entry, Bluetooth® wireless connectivity for hands-free phone operation and audio streaming, a 4.3-inch color multi-function display, four-speaker audio, AM/FM radio, HD Radio™, a single-disc CD player, a USB data port and an auxiliary audio jack for playing music from your mobile devices, and the STARLINK™ infotainment system integrated with a 6.2-inch LCD touchscreen. 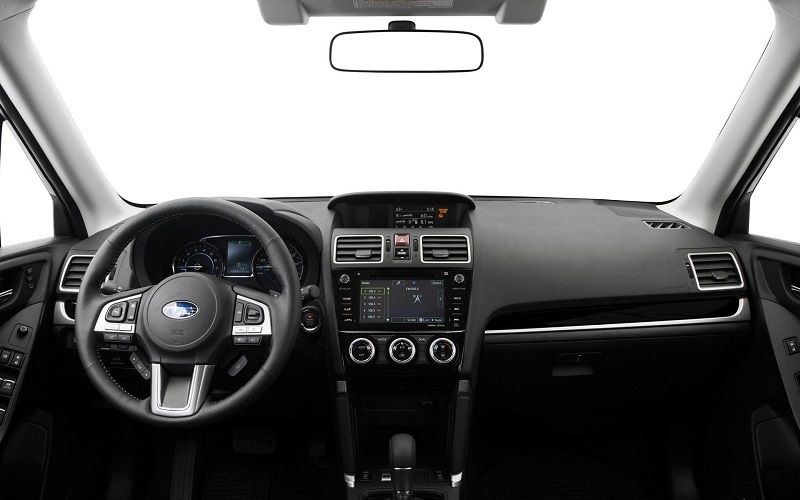 Going with the Premium instead of the base-level trim provides additions and upgrades such as six-speaker audio, Siri® Eyes Free voice command ability, a complimentary four-month subscription to SiriusXM® satellite radio, and a 7-inch LCD touchscreen (in place of the 6.2-inch). Exclusive to the Touring are dual-zone automatic climate control, push-button engine start, 7-inch touchscreen navigation, and an eight-speaker 440-watt Harman Kardon® audio system. For ensuring a smooth, bump-free ride-even on rough surfaces-the vehicle uses a strut front and double wishbone rear independent suspension. Its electric power-assisted rack-and-pinion steering provides a turning circle of 34.8 feet. If the car is powered by a turbocharged 2.0-liter engine, paddle shifters appear on the steering wheel and the suspension is more firmly tuned for a sportier, more exciting ride. The standard engine is a 2.5-liter horizontally opposed four-cylinder (H4), which generates 170 horsepower and 174 lb-ft of torque. However, if you go with the Limited or Touring trim, you can opt for the previously mentioned 2.0-liter turbocharged H4, which is leaner and more powerful. Its output is rated at 250 horsepower and 258 lb-ft of torque, and it is accompanied by a dual chrome-tipped exhaust system. The base-level and Premium trims have their engines mated to a 6-speed manual transmission while the Limited and Touring engines roll with a continuously variable transmission. Reserved for the Limited, turbo H4-powered Premium, and Touring is X-MODE®, which is a drivetrain technology that reduces wheelspin to boost traction control. 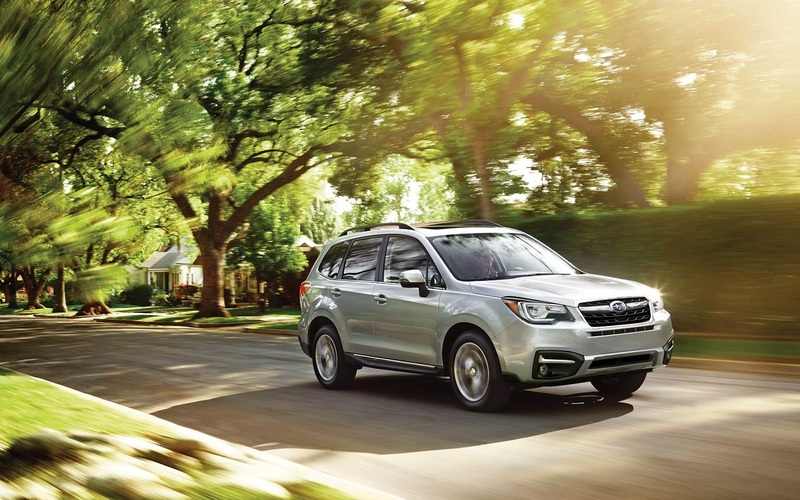 For restraint and cushioning in the event of a crash, the 2018 Subaru Forester has two front impact airbags, a driver's knee airbag, a pair of front seat-mounted side-impact airbags, and dual roof-mounted side curtain airbags. Other standard safety features on the vehicle include traction control, electronic vehicle stability control, LED daytime running lights, a rearview camera, electronic brake-force distribution, a four-wheel disc brake system, anti-lock braking, brake override, and brake assist. For security, the vehicle comes with an anti-theft system that combines the previously mentioned keyless entry with engine immobilization. If you choose the Premium, Limited, or Touring, there will be the addition of STARLINK™ Safety and Security, which provides services such as stolen vehicle recovery, automatic collision notification, roadside assistance, and SOS emergency assistance. The Limited and Touring have additional hill descent control. Unique to the Touring are high beam assist, reverse automatic braking, and the EyeSight® driver-assistance technology suite for features like adaptive cruise control, sway warning, pre-collision braking, lane departure, and lane keep assist. If you go with the turbo H4 engine, larger disc brakes will be installed on the wheels. 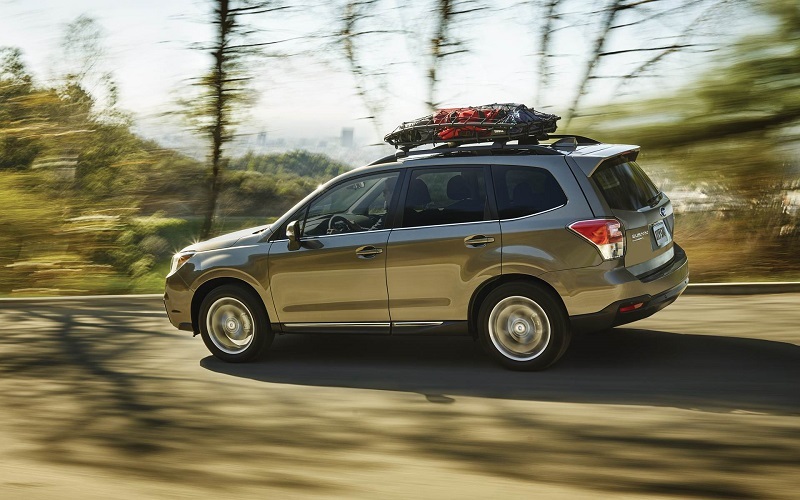 Looking for a used Subaru Forester for sale? Then come see us at Flatirons Subaru, a Boulder dealer in Boulder CO today. A Boulder dealer in Boulder CO with experience on used cars for sale, Flatirons Subaru is known providing outstanding customer service, as evidenced by aggregated reviews on Google and Edmunds.com. Set up an appointment to test-drive a used Subaru Forester for sale at Flatirons Subaru, a Boulder dealer in Boulder CO. One of our used sales specialists with expertise on used Subaru Forester for sale will be more than happy and willing to assist you with getting into and driving off in the used Subaru car of your dreams.